Queen duvet cover (88" x 88") featuring the image "1934 Mercedes Benz 500k Roadster 8 Spare Tire" by Jill Reger. Our soft microfiber duvet covers are hand sewn and include a hidden zipper for easy washing and assembly. Your selected image is printed on the top surface with a soft white surface underneath. All duvet covers are machine washable with cold water and a mild detergent. 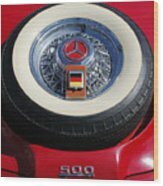 There are no comments for 1934 Mercedes Benz 500k Roadster 8 Spare Tire. Click here to post the first comment. 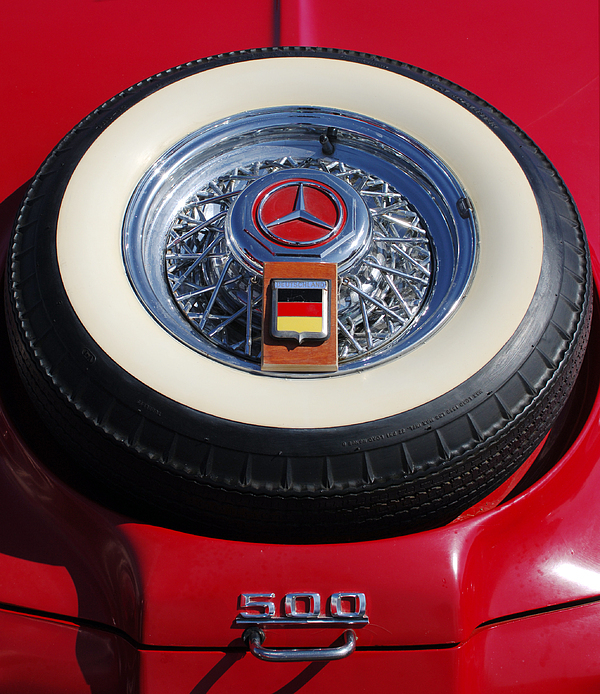 Photograph of a 1934 Mercedes Benz 500K Roadster 8 spare tire. The original cost of this high end vehicle in 1934 was $24,000.